2 piece stock telescopic hood wagons of the private company RAILLOGIX. Epoch VI. Each wagon has a different wagon number. 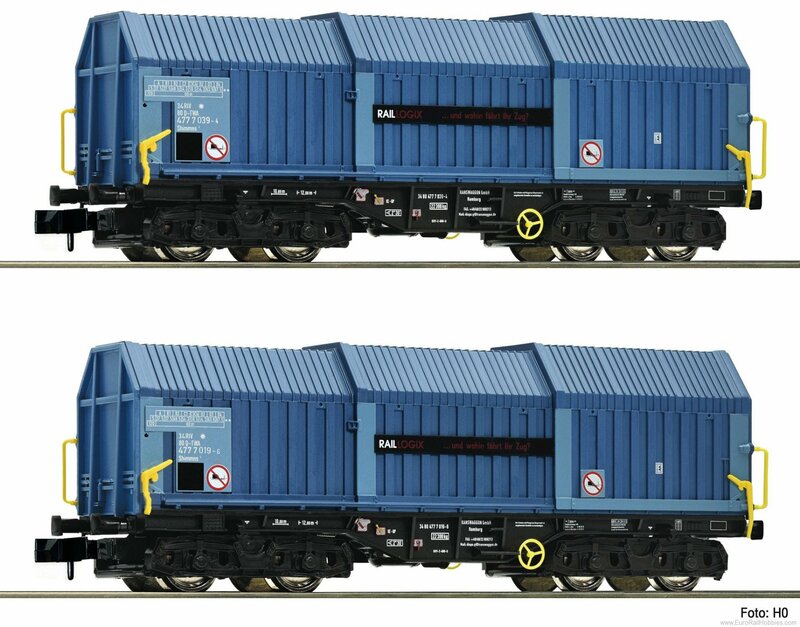 The two wagons have both coupler pockets according the NEM 355 standards and close coupling mechanism. Prototype: RAILLOGIX is an expert in transportation and arranges consignments by train as spot transports. The company carries for example, grain is blocktrains and very often also gypsum plasterboards, - so the company always offers special solutions to its customers.